Motorola released some of the better Android devices this year - it started the year with the dual-core Motorola Atrix with the unique laptop dock accessory and ended it with the super slim LTE-equipped Motorola Droid RAZR. But as competition tightens up the company needs to do even better in 2012 to differentiate. 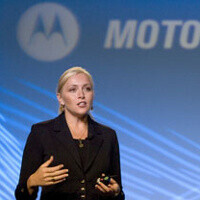 Former Palm and Apple executive Christy Wyatt was interviewed by AllThingsD sharing some insight on what will Motorola focus on to stand out in the Android world. And the company will continue to work on its modality paradigm started with the Atrix and the Lap Dock. Essentially, this means that you need one device, but often you want to access it differently. For example, today’s phones are powerful enough for most of your basic Internet needs, but you’d need a larger screen and a keyboard for a long email or for browsing the web. The second focus will be MotoCast where the phone maker aims to bring all your music to your device. So overall, the company is shifting the focus on performance and user experience. And when it comes to performance, battery life is of particular importance. That’s why the company is also pushing “smart actions and rules” that would tip you whenever your battery is getting low and propose to dim the screen for example. Check out the full interview at the source link below, but don’t forget to also let us know how you think Motorola did throughout 2011 - do you feel that the company was successful? Which Moto handsets did you like? personally, I wont buy any Motorola phone no matter how innovative and high tech it is if they will continue to release a new model every month or 2.. why dont they just continue to innovate and get all of their techs all at the same time in one device instead of making a new model for every new feature they come up with.. just doesnt make any sense to me.. just saying.. They release phones about every 4 months and that's much better than other android OEMs so learn you facts before you run your big mouth. People tend to write figuratively speaking as well as literally. Smart readers can detect the difference. "continue to release a new model every month or 2" is used in a figuratively speaking manner. I actually agree with this. Regardless of how many other OEMs do it, doesn't make it any better. They release phones as often as possible because as a business strategy, it is what the consumers want, and they have multiple carriers they must make deals with and multiple sourcing OEM's who they must also make deals with on their hardware. The consumer wants a new phone even if it only has a few new features. The iphone 4S is the perfect example of that. Yes, they release Atrix I in Europe 1 week before they release Atrix 2 in USA. Genius strategy. Even if they're not the ones to release newer(and better) products every few months, other companies will. You might as well never get a smartphone at all. ALL manufacturers do this. HTC drops a new phone every few weeks with barely any changes from the last. As new tech develops an new phone follows it. Tech is being developed at a breakneck speed. That is not going to change any time soon. So, its not the manufacturers that need to change.. as they are just trying to survive, its your perception that needs to change. Who gives a damn how often they release a phone? It sounds more like you have "top of the heap" jealousy than anything. You buy the best phone that you want/can afford and ignore all the rest as they come out. Just because a new tech comes out doesnt mean your phone is now junk. If you want a slow release cycle there are WP7 and iOS phones out there for ya. for their flagship, thats partially true. but you also have the note, the 20 different variants of the SGS2, ect. its still a new device even if its called an SGS2. Most of HTC's phones are 95% identical just with different names. Samsung is doing the same with the SGS2 but they are all named the SGS2, which i think is smarter as it cuts down on the confusion between devices. Some SGS2's have bigger screens, keyboards, different chips, different batteries, ect ect ect.. but they are all called SGS2. HTC would have given each of them a different name. The sensation, mytouch 4gslide, evo3d, amaze, are all basically the same phone. they should all just be called one name. Besides that, samsung's flagships are top of the heap and selling like wildfire. HTC and Moto keep releasing devices hoping one of them will top the SGS2.. which they havent been able to do. agree that not all the gs2 have the same specs but they are close enough and all run the same touchwiz 4 that it dont feel likely that another carrier has an updated version in my opinion(dont think there is a gs2 with keyboard)...with htc the differences are bigger such as some have 3d,some have beats,some have higher res screen and some have sense 3.0 and some have 3.5...just think that htc should create a ''galaxy s series'' for themselves and keep it streamlined....moto is the worst of the lot having about 4 flagships on just verizon being released only a few months after...also with htc they have sensation,amaze,mytouch,mytouch slide all on just t-mobile....correct me if i am wrong but i dont see 4 or 5 different variants of the sg2 on just 1 carrier....just hope in 2012 will be seeing fewer versions of the same phone on,as much as choices is great its not a great feeling if you buy a phone for £500 and a month later a better version comes out for the same price.6 month later would be nice although with my gs2 i have had that feeling just thinking i would be a pi**ed of smartphone owner if i lived in the US. That was kind of my point. Htc's brand identity is that all the phones look and act the same but there is tons of confusion over models because there is no naming cohesion. The fact that the same model exists on the same carrier with slight variations does not help. I agree completely about the sgs2 point. Tons of variation but only one per carrier. Makes life simple. i think the only one whos really gotten the hang of making a actual flagship device is samsung. yeah theres a slightly different variant on each carrier but theres only one per carrier. and the whole skyrocket /sgs2 thing is a mess up but i think thats at&ts fault. theres a reason though that the sgs2 is the highest selling android phone ever. > ALL manufacturers do this. HTC drops a new phone every few weeks with barely any changes from the last. No, Apple doesn't do this. Here's my point, releasing one model a year like Apple is too slow, but releasing variants of one model (i.e. market segmentation) too quickly creates buyer's remorse. There has to be a happy medium somewhere between one year and one month. perfect scenario would be this,htc,samsung,moto,sony release 1 or max 2 flagship device per year like apple,it looks the same on every carrier and has same specs etc and they can continue releasing multiple mid and low range phone...but the chances of that happening is 0.
no ardent, apple doesnt drop a new phone thats barely changed every few months, they do it once a year. i4s, 3gs anyone? And idiots run out n buy it in droves even though they own the older model which is 90% the same. I think in Googles hands it should be good. arcq12, the term you want to use is "buyer's remorse." Moto is not going to win customers if it keeps generating buyer's remorse. At my Costco, they are pushing both the Bionic and Razr side by side and the while the Bionic has better accessories, the price difference was only $50 less for the Bionic, respectively. I wouldn't pick up the Bionic because I would spend the extra $50 for the better display and processor. Just my two cents. Sorry I thumbed you up, I meant to thumb you down because I disagree. That is a stupid reason not to buy a Motorola phone. They make great phones and release just as many, if not less,phones than Samsung. Other they don't really add new features to every phone they release, the razr is the only really unique one out of their line-up for the past few months. I think you just don't like Motorola, for nearly no reason, and decided to say something that is not entirely true about them just to hate. well you can enjoy your pos Samsung instead? :P i would say get used to this trend...most companies are creating a "bigger better" phone way too quickly (Samsung, HTC, pick your poison) the ironic race that the first company to slow down their release and create a solid phone wins? I'd take a Moto over most phones released in the states at this point. I would buy Motorola RAZR XZ910, and I probably will next month, when I collect enough money. I think it is overall the best phone around..
@SGSII sorry man I'm at work and we use an old browser where I can't see the reply, thumbs and report button.. anyways, you're not getting my point and you sound like a troll to me, I'm obviously talking about flagship phones here, when did they release the droid x2? droid 3? and the bionic? how bout the razr? and whats the new thing their coming up with called razr maxx? see what I'm saying? these phones where released the same year and these are all flagships.. The bionic I will definitely agree with you on for the simple fact it was shown at the beginning of the year at CES and did not release until the fall. That was a pretty epic fail. Otherwise Motorola is still essentially trying to find a market niche and play catch up to many other Manufacturers who jumped on the Android wagon long before they did. Please keep in mind that the reason the company really survived was when they released the OG Droid for Verizon. After that it was simply they are trying to increase brand awareness and market share by putting new features and hardware into phones and releasing them as fast as they become available. There products do not have the same luxury item status as an iphone, so they have to make up for it by volume and different handsets hoping one will strike a chord with consumers, or that overall volume sales of all handsets will help them with greater brand recognition overall.